Tia lives in rural mid-Missouri with her husband Jordan and their two sons, Jackson and Grayson. They spend weekends and evenings watching their boys play on recreational and school affiliated football, baseball, and basketball teams, and love cheering on the St. Louis Cardinals from both at home and in the stands. Tia loves vacationing with family in Destin, Florida in the summer and skiing in the Colorado mountains in the winter. In her spare time, she likes to paint and refinish furniture to sell at her mom’s gift shop in Hallsville. Tia worked as a Registered Nurse in the Pediatric Intensive Care Unit at MU Women’s and Children’s Hospital for nearly 10 years. She learned so much from her patients and their families during those years and was touched by how resilient children and families are in the face of illness and adversity. 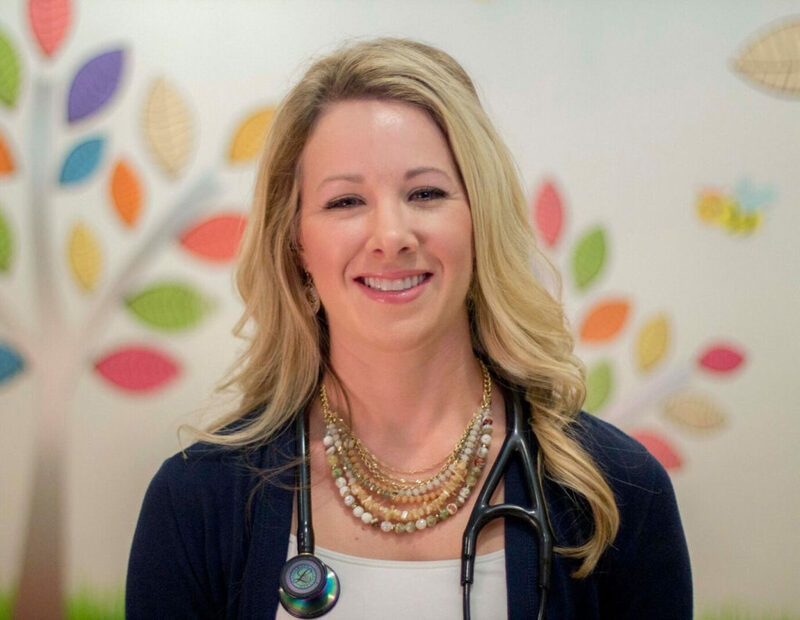 Because of her years of experience as a PICU nurse, she has a passion for educating families and patients regarding injury and illness prevention. Tia, along with our other pediatric nurse practitioners, staffs our walk-in clinic for illnesses with extended hours at the Southampton location. Our hope is that you find this to be a convenient way to get the quality care that you trust. See our Locations page for their hours of availability. Tia is generally out of the office on Fridays. She sees patients at both the Southampton and Keene Street locations.